Google India is giving 100 school students, and their parents, across the country an opportunity to attend a summer camp at its offices in Gurgaon and Hyderabad through the new ‘Summer With Google’ campaign. As part of the campaign, the company will assign an activity to kids via the ‘Summer With Google’ website each week for four weeks and will shortlist the winners from the list of kids who are able to successfully complete the assignments. The first assignment is already live and requires participants to log on to Google Earth and answer one of the three questions mentioned in the video linked above. 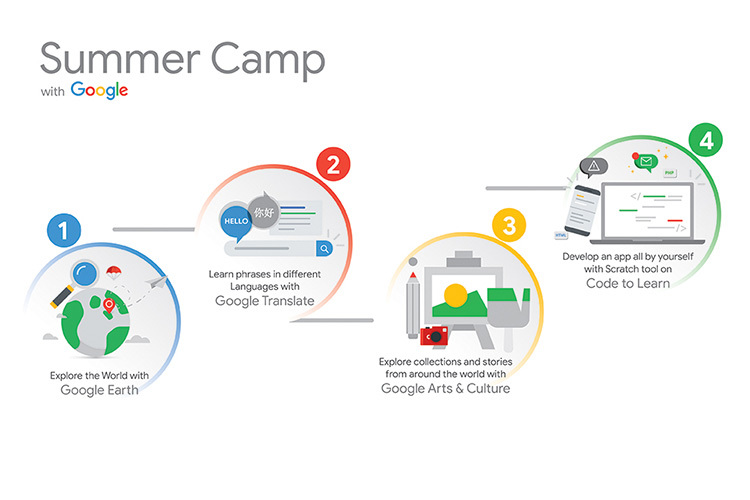 Once the participant has the correct answer to any one of the questions, they can head to the Google Summer Camp website and start their first assignment. The video ends with a couple of tips to help kids become good digital citizens. If you are a school-going kid and wish to visit Google’s campus and see the company’s technology up close, then make sure you participate in the campaign now!